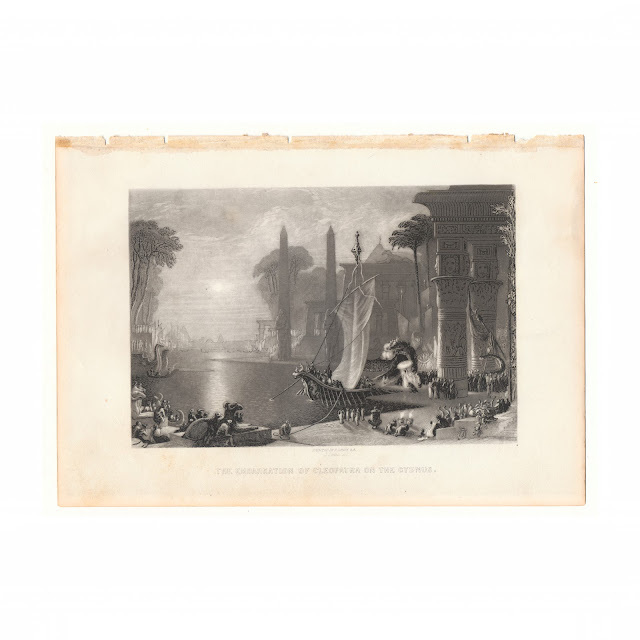 The print for sale in this listing is titled "The Embarkation of Cleopatra on The Cydnus," from a painting by F. Danby. There is some light soil, faint stain to right edge. 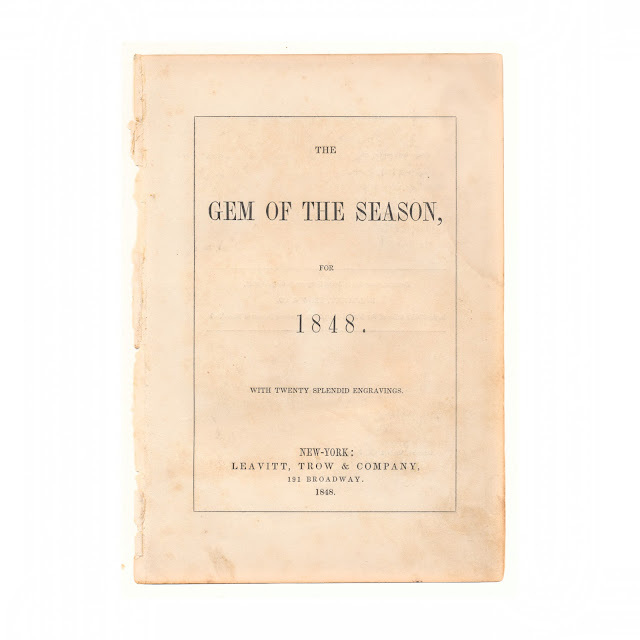 Some wear to edges.